Ahly's striker Walid Azaro is confirmed to be sidelined for five weeks due to a muscular injury, according to the club's doctor. The Moroccan hitman was injured in Friday's 2-1 loss to rivals Pyramids in the Egyptian Premier League. Azaro scored the opener for Ahly, his first league goal since August. 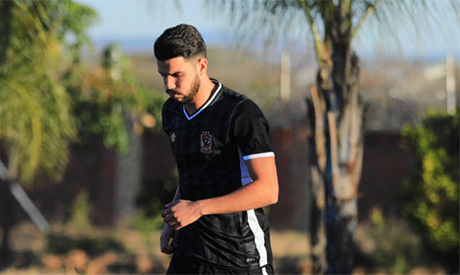 "Scans revealed that Azaro is suffering from a muscular tear that needs a rehabilitation programme from four to five weeks," Ahly doctor Khaled Mahmoud told the club's official website Sunday. Meanwhile, playmaker Walid Soliman is set to undergo a medical scan Monday to determine his availability for Tuesday's league match against Smouha. Soliman left Saturday's 3-0 friendly win over Gomhoriet Shebin due to foot pains, while midfielder Akram Tawfik broke his nose in the same match to remain on the sidelines against Smouha. Ahly currently lie sixth in the league table with 24 points, 17 adrift of leaders Zamalek, but they still have three games in hand.